Here at easymove removals Peterborough we will take all the headaches, stress and pain out of moving. We will do everything possible to make your move as easy as can be. and tape to pack up all your possessions. This allows you to pack your house in your own time and how you prefer. Easymove Peterborough removals company have been in operation for over a decade. All of our staff are fully trained and will be fully uniformed. We here at easymove removals Peterborough understand that in today’s financial climate you want your money to stretch as far as possible, so please take confidence in the fact that we will do everything possible to help you in your move. 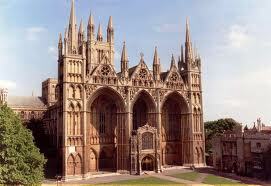 We also look to learn from every house removal in Peterborough to improve our service to you and many others. In this competitive market we feel acceptable is no longer acceptable, with this attitude we feel we can outshine all our rivals in the industry. Our aim is not for you to be satisfied but thrilled at our service. Whether you just want us to just transfer and unload your possessions or completely pack up your house and unpack at your new destination we will be as friendly and as helpful as possible, recent study’s have shown that moving house in the UK is the 4th most stress full thing to do behind getting married, getting a divorce and having a baby. So the last thing you want is an unreliable house removal firm. In the unlikely event that any of your possessions are damaged in any way you will be insured up to the amount of £100,000. This insurance is included in your overall price quoted at the beginning of the job. Here at easymove removals Peterborough we assure you we will conduct your house removal professionally and in minimum time. For our Peterborough house removal service there are two different types of payment schemes. You can pay by using our buy by the hour structure or alternatively we can send one of our assessors to view the property and calculate a total cost. The choice is yours. The full house- our house removals team in Peterborough are fully qualified and have years of experience in packing, transporting and storage. We will pack all your things for you in a matter of hours and then transport your belongings to your new home, we will also provide plastic furniture covers to protect all your upholstery. Fragile packing- Needless to say we are very careful with all of your belongings, however if there are any items in particular that you feel would require extra attention our removals team in Peterborough will take the time to assure your valuables remain safe and in good condition. DIY- Easymove removals Peterborough can provide you with the packing materials you require enabling you to do all your packing. This is not to everyone’s liking however it may be the case that you have private belongings that you don’t necessarily want anyone to see, which is fine and why our Peterborough removals team offer this service.